Exciting Update On Our Service Project! So here’s the update on our book drive. We have offers of help from several of our Bibliophile members and from my other book club which is composed primarily of librarians. One of my librarian friends is a volunteer at the Cartersville library, and they are having a used book sale tomorrow. She is going to bring us some donations from their sale! Also exciting: one of our readers is author Melissa Walker, author of the Violet series: Violet on the Runway, Violet by Design, and Violet in Private. Her new book, Lovestruck Summer, will be coming out on May 5, just in time for summer beach reading! After Melissa’s generous offer, I challenged my other facebook author friends, so maybe when I get home tonight we will have more offers! Meghan F., who inspired our project, is going to the Women’s Crisis Center to volunteer tomorrow, so we will have more details of exactly what they need. In the meantime, Meghan says they can also use children’s books. Any books which would appeal to women–aka “chick lit”–would be great. It also looks like we’re going to need some members to volunteer to get books packaged up and delivered to the center. And I know some of you can still use some hours for National Honor Society! Thanks, everyone, for your generous offers! 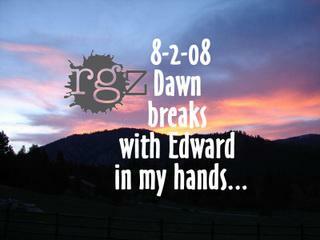 Our friends at readergirlz have a brand new diva. Author Melissa Walker, whose book Violet in Private was featured on readergirlz in August, just joined the website as its latest author diva. Other books in her Violet series include Violet on the Runway and Violet by Design. The series follows Violet through the ups and downs of the fashion world. If you can wait until May, you can read her next book, Lovestruck Summer. Sounds like a perfect beach read! Melissa is from New Zealand, where she attended an elite finishing school for girls. She earned a BA in English from Vassar and now lives in Brooklyn. She is a former ELLEgirl Features Editor and Seventeen Prom Editor. Watch for the Violet books in The Unquiet Library. 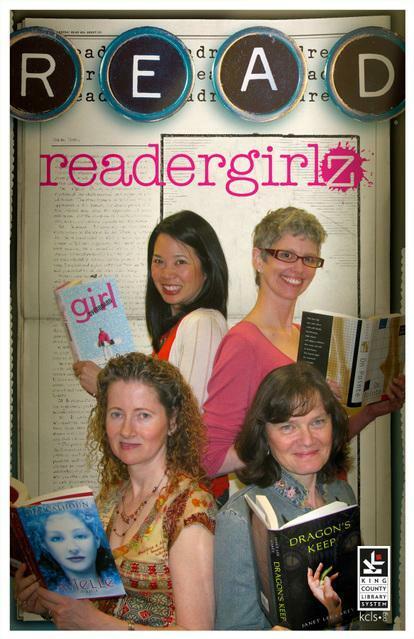 Not only do the readergirlz have a great website, but now they have a brand new blog. Be sure to check it out at http://readergirlz.blogspot.com/. You can also catch them on Facebook, MySpace, and Twitter. Check out the readergirlz website for details.